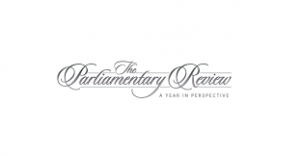 The September edition of The Parliamentary Review, a publication now in its fifth year of circulation, serves as a platform for educators, politicians and business leaders alike to share their knowledge and best practice. With an esteemed readership, including pertinent figures from both Houses, The Review maintains a non-partisan approach to sharing insight across a variety of policy sectors. EDGE IT Systems was founded in 1989 and today they specialise in providing IT services and cloud-based software for local councils, cemeteries, and crematoria. In their Review article, they discuss the challenges and successes they have had over the years and look at some of the fundamentals that have continued to serve the business well. Technology is surging forwards apace all across the world, and Britain is no exception. This year’s edition of The Parliamentary Review explains the progress that the industry has experienced on both a domestic and international level, while also highlighting pertinent issues for the future.